On Monday, October 16, 1995 at about 0730 hours, Deputy John Bananola and other Pierce County Sheriff’s deputies entered 902 East 52nd Street in Tacoma, conducting a drug raid. As Deputy Bananola entered the house he confronted a suspect, identified himself, and was shot several times by Brian Eggleston. Eggleston fired at Deputy Bananola ten times, hitting him nine times, including after Deputy Bananola had fallen to the ground. Deputies returned fire and hit Eggleston several times. Deputy Bananola also returned fire and hit Eggleston in the groin. After several trials and appeals, Eggleston was eventually sentenced of 38 ½ years. 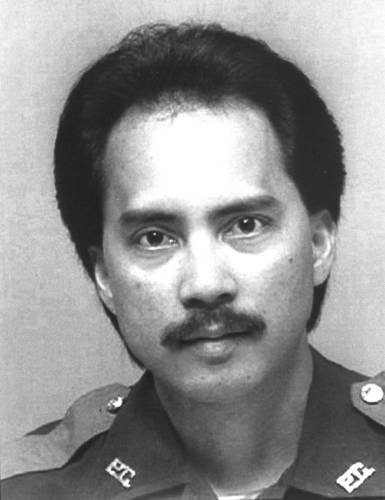 Detective Bananola was a US Air Force veteran and served with Pierce County Sheriff’s Department for eight years. He is survived by his daughter and stepson.